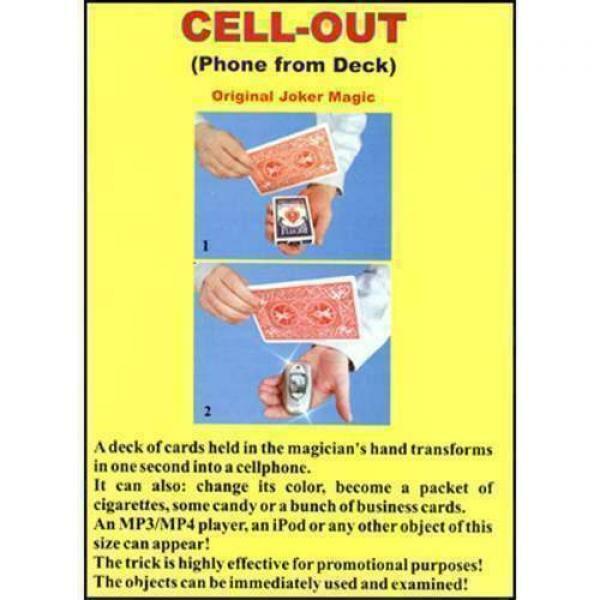 A deck of cards held in the magician's hand transforms in one second into a cellphone. It can also: change its color, become a packet of cigarettes, some candy or a bunch of business cards. An MP3/MP4 player, an iPod or any other object of this size can appear! The trick is highly effective for promotional purposes! The objects can be immediately used and examined!